The year started off with an all time high for us – taking road trips, trying new restaurants in the city, gorging on food, having get togethers and one of them also included stopping over at Organic Oasis, located at Al Khawaneej, for a few hours to gain an insight on how painfully but beautifully the food is locally grown. And you know what got me more intrigued about this visit? It’s a shame to say, but what had me more exhilarated was connecting with the farmers on one-to-one basis and that I was visiting an actual farm after ages – we’d regularly go on a farm owned by one of our family friend atleast once a year during very young days of my childhood when I was living in Hyderabad till I entered a secondary school and got transported to Bombay, which is close to two decades ago; and a few instances in between where we’d pluck plums from our uncle’s back yard, mulberries from our aunt’s home grown tree and lemons from the gardens of my dad’s aunt! Baby spinach on it’s way. 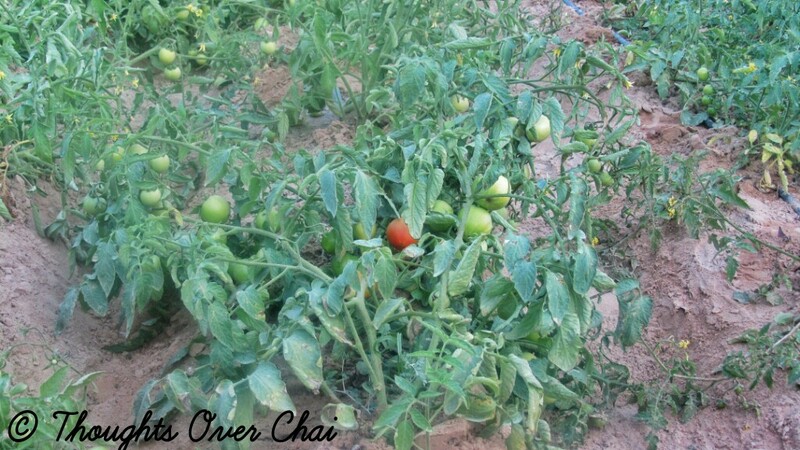 It’s hard to conceive the idea, but did you know that organic farming is really possible in UAE in the middle of this dry earth and desert landscape that we are currently living on? Without any remorse, I’d like to admit that I was extremely ignorant about how was this even achievable. Or even if it is, was it really worth it? I am super glad to declare that all my questions were answered on my visit to Organic Oasis, a couple of weeks back. I had been thriving on fruits and vegetables from supermarkets that are imported from all over the World without understanding about the multiple processes they are put through. Ok, even if I did understand or had a meager knowledge about, was I ready to put in extra effort to bring organic and fresh local produce in my kitchen when it is so easy to call for what I need in a matter of minutes from a super market situated so close to where I live? I admit I haven’t totally given up on them, although simultaneously I am opening up my mind to accept that it is really possible to get fresh organic produce in this city and totally beneficial – the food that is an outcome of challenging labor! Before I came to Dubai, we bought our local food from a market nearby following mom like a puppy to every fruits and vegetable seller she went to, without even questioning a thing to her. As we grew, we became more aware about where our food was coming from, our local market sellers became more familiar and we bought all the bounty with full trust in them. When I moved to Dubai, I was amazed at huge hyper/super markets where produce was available all throughout the year. I left it at that and kept buying what I required until I splurged my way into the blogging world and started becoming more conscious about my choices since then – the grocery that was purchased within a moment of thought now undergoes a great deal of inquisition in my head before I finally put them on a weighing scale. All that common sense which had blissfully taken a backseat is now zestfully emerging by putting the ignorance trailing behind my naive years. I can safely say, this blog is helping me grow as a person and make better decisions for my family! Little A is only three years old and understand a great deal of things around him. It would secretly pinch me when he’d innocently answer that fruits and vegetables that he eat everyday are available/grown in super markets. He had not seen a real market yet, or had been to a field before this to know that they are actually grown from the ground after a lot of hard work. So, with this visit, my prime intention was also to teach him where his food really comes from (and it is not from the ever growing shining aisles of super markets) and how it is skillfully cultivated. I was over overjoyed when few of my friends willingly joined me on this curious expedition, with their little ones in tow. Isn’t it very essential for our children to be aware about the real food especially when their whole body is still developing? So what if they are still so young and you may lose their attention at a drop of a hat! Just a drive outside the clamor of the city will lead you to Organic Oasis, situated after Royal Equestrian Club. Organic Oasis is a brain-child of an Emirati family and specializes is growing organic vegetables such as peppers, eggplant, tomatoes, carrots, herbs, lettuces, cabbages, etc and has their own poultry that provides free-range eggs in the four farms that they currently manage. We were welcomed by Yaseer, who took us around to various fields to impart us on how they grow their vegetables even in such horrid cases. Since UAE has very unfavorable weather conditions during major part of the year, it is only potential for crops to grow between November and March, and if lucky it could be probably stretched until April or May at max (in very rare situations) and the other months are completely dry with harsh sun shining above us. It is a lot of uphill battle for farmers in UAE, where they are still in their initial stages for getting the desert to convert into a flourishing soil. He goes on to say, it doesn’t happen in a year or may not even come off in a couple of years, but in the long run it is all going to be fruitful where he is expecting his soil to fully develop and is hopeful that’s when the fresh produce may be effortlessly available in the country. Growing a produce in a desert isn’t magic, you see, but is a fruit of utmost patience that every farmer in UAE is trying to achieve. 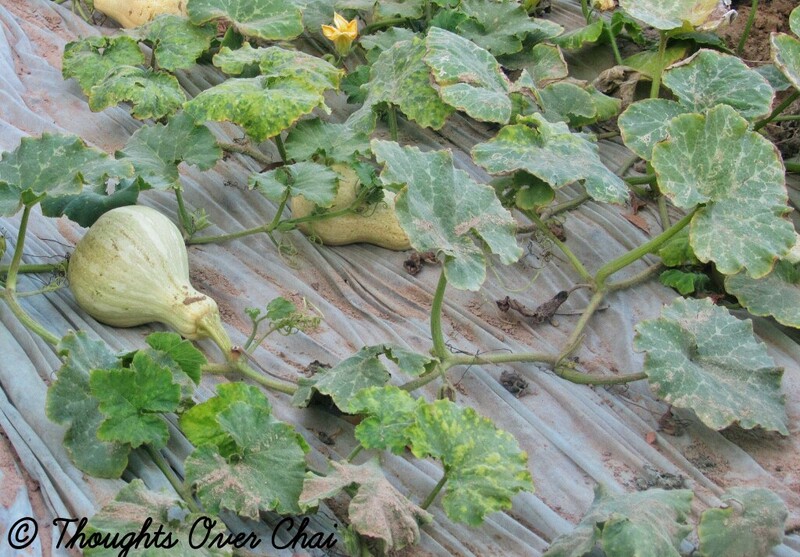 Each crop is grown in stages – some need two and the others need three before they are ready to be harvested. While some need a month, others need 3-4 months before they are made available in the market. As Yaseer kept us walking, he showed us around the phenomenally huge farm where crops experience full cycle of nature without spoiling them with chemicals or artificial fertilizers. The crops are fostered with a manure spun from the remains of chickens that are fed on nutritious food in their own farm since he puts a lot of importance on building up the soil so that they are cent percent organic; nursing them through every process. Since the broccoli plants are delicate in their fundamental phase, they are guarded under a net which later drawn for the next two stages beside a field of corn to protect them from ghastly breeze attacks. When I mention corn, it is in abundant at Organic Oasis; everywhere that you look around you can find the corn and blooming sun flower plants standing tall and eminent, swaying in the directions of the wind. And when we came across the veggies that were ripe and ready to be harvested, he showed them off with sheer pride; even letting us munch on crunchy and sweet peppers. We didn’t bother to wash them because we had by now fully understood the process with which they are grown to become so incredibly fresh and worry-free. Really, how often do we get a chance to pluck a fruit and eat? We crossed the field carrying green tomatoes and entered towards a land bearing eggplants in their dignified position at one side, while on the other the carrots were just beginning to mature. 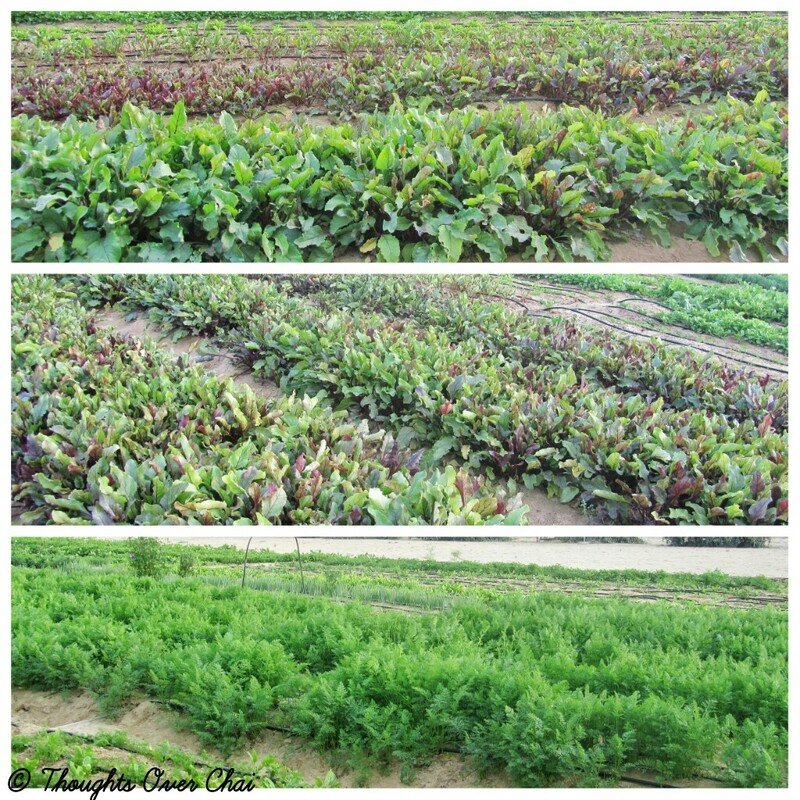 Beyond the carrots terrain, were the alluring green patches of herbs – parsley, coriander, spring onions flourishing with utmost gratification. At the beginning of the farm are huge fields of lettuces, cabbages and butternut squash all displaying the toil yet immense contentment of the farmers. In the present situation, where most of the people are getting to know more about the chemical-less produce and are becoming more cautious about their choices and green-food movement, demand is more than supply . Where a few crops are sometime destroyed by harsh wind, some get infected after reaching the final stage; which is beyond their control. While some get treated with remedies that are farm-grown, some damages are beyond repair. In that case, it is impossible to meet the requirement of their customers, for which they are extremely apologetic and are working towards a system where this could be avoided as much as possible. If this is still not convincing, our farm visit concluded with a short market that had ruby red tomatoes, green leaves, plumpy avocados, papayas, sweet oranges, crunchy peppers, mauve colored eggplants, bright orange carrots in abundance all smiling at us proudly; waiting to be picked up. So, while we still have a few good months of farming, get in touch with the management at Organic Oasis and plan your visit with them. And while you are at it, don’t forget to attend this educational event with children by your side! Many in the desert just like me are not cognizant of the food that they are consuming everyday. Let us rise as a community, and in due course reduce our carbon footprint on the land we are living on becoming more aware about the environmental issues and our obligation to minimize the pollution by supporting local farmers in their endless job of providing us with healthy whole-foods. Organic Oasis is one of the participants selling at Farmer’s Market on the terrace at Jumeirah Emiriates Tower every Friday between 8 am and 1 pm and are also at Market At The Beach, JBR every Saturday between 10 am to 8 pm. 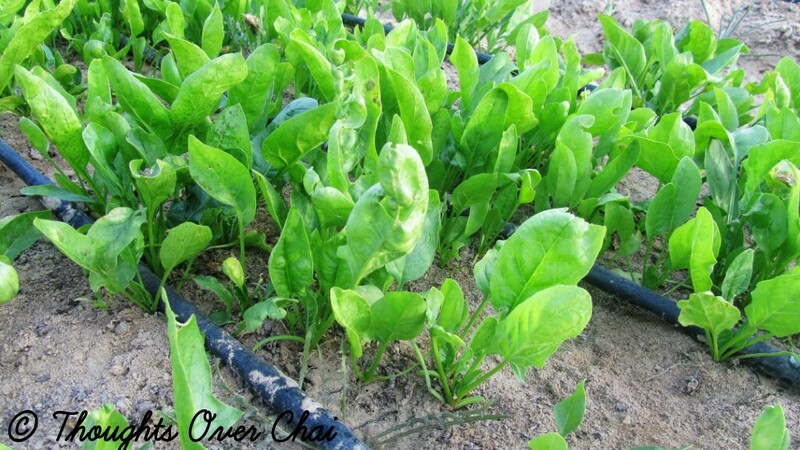 Furthermore, you can also order them to deliver vegetables fresh from their farm to your doorstep; by just dropping them an email and they’ll respond you with the produce that is available with them and also their delivery schedule since they are still working on their website to accept the orders online. If you are in Abu Dhabi, their pick up location is at the Raw Place located in World Trade Center Souq. Location – Al Khawanjeej, beyond Royal Equestrian. *Click on the pictures in the gallery above for a finer view. And all the images on this post/blog are copyrighted© unless otherwise stated. ← Eating Mexican at Rosa Mexicano, The Dubai Mall. 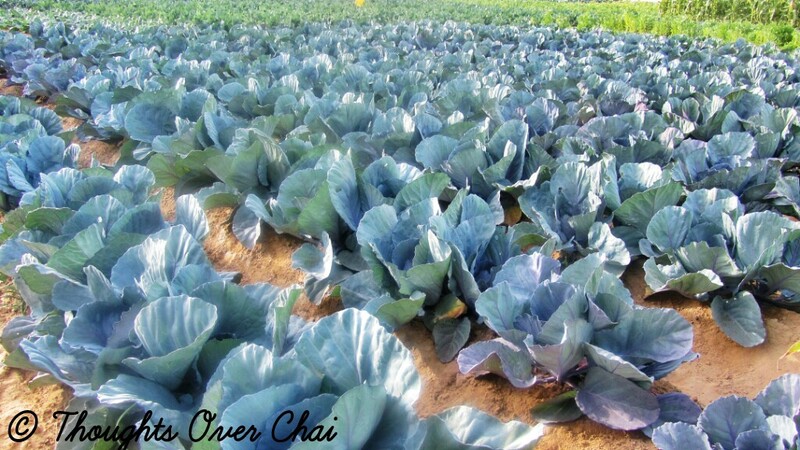 Thanks for your recent post, this organic farm looks like a miracle, I’m impressed by the abundance of vegetables, and the size of each is quite big. I understand that it’s a hard work. I will certainly visit it one day! I would like to share a really great free app I’ve recently discovered with you. It is called Carde at http://www.carde-app.com. All image content of top social networks is there. It can be helpful to you in communication with your followers. Thank you again and I am looking forward to your new posts! Hi Tasneem, this post was very handy for me, thanks! I too don’t like buying the vegetables from the supermarket, all shiny and perfect. Lately I have been buying a little from our organic shop but even they are from Spain. How do you find the prices compared to the supermarket?